Each month, Google updates the Android distribution numbers to show developers which versions of Android are the most popular and help them prioritize compatibility of their apps. But because media exists and there are clicks to be had, each month’s update is used and spun for a headline, like in this dumb article written for ZDNet, which suggests that no one on this Earth cares about Android updates because there is slow adoption of the newest version. 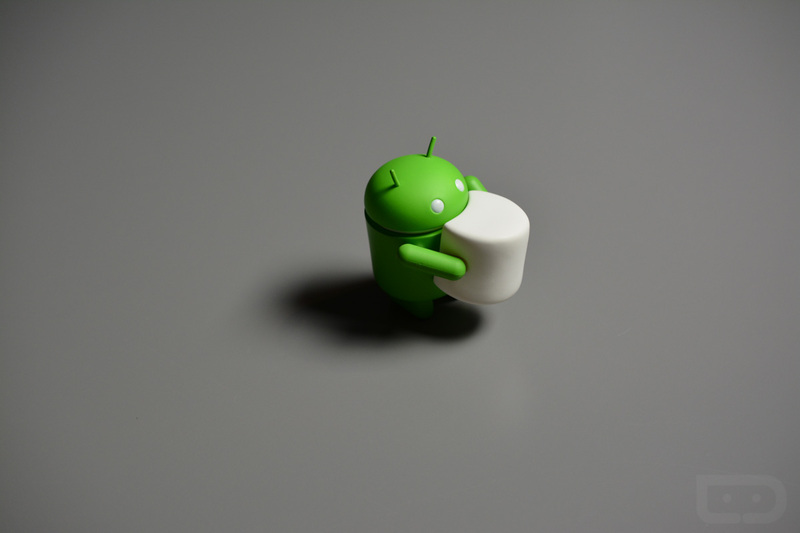 In this case, Marshmallow is the target because it sits on just 7.5% of Android devices some six months after release. The dumb article, which is dumb, compares that to the adoption of iOS 9 and its 84% install mark. Funny, but that comparison only makes sense seven years later to someone with a lack of understanding of the subject or because they like to write dumb articles. In this case, I think we can check both boxes. So why is it, according to ZDNet, that no one cares about Android updates? Well, here is the list from the article. OK, so the first item isn’t exactly a “why,” but more of a broad, unsubstantiated statement. The theory here is that you and I don’t care about new versions of Android or updates (including those of the security type) because in order to get them, we have to buy a new phone or own a Nexus. That, of course, is false. First, you and I do care about security updates, as do carriers, manufacturers, and Google. All of us combined, after a handful of security scares that made headlines for weeks, have been able to help to push out monthly security patches from Google to OEMs and carriers, on to us. Not everyone is on board, but some of the worst players on this update team – Samsung and Verizon – have managed to keep up quite well with monthly schedules. You see, security is important to many, but it wouldn’t have been if users, like you and I, didn’t tell all those involved that is. And in the end, security is important to everyone anyway, whether they are vocal about it or not. Even if a user doesn’t know that there are monthly security patches, you better believe that they are expecting to be kept safe. Do you ask car manufacturers if they have the most up-to-date air bags in their new cars? Probably not, you just assume so. As for the idea that you need to buy new phones to get new versions of Android, well, feel free to talk to HTC, LG, and many Motorola phone owners about that. In fact, Samsung even manages to update most of its flagship phones within six months. Since most of you buy a phone that lasts for two years, I’m not exactly sure why you would need to buy a new phone just to get an update. Outside of that argument fitting the agenda of this dumb article, which is dumb, simple math sure seems to calculate that into you getting multiple updates to new Android versions in the time you own your current phone. Hmmm. Are they as timely as we all want them to be? Obviously not. We would all rather have them yesterday, but that’s also how Android works, remember? This isn’t a top-to-bottom setup like Apple has, where they control the software and hardware and also don’t have any outside parties to involve. Android is open source and given to OEMs to customize to their liking. There are levels to this. There are different parties involved with different ideas on what an Android phone is and should be, which includes the amount of software support. There are billions of devices in the wild from small to large manufacturers. Android isn’t iOS and it was never supposed to be, even if the media continues after all this time to try and compare the two. Back to that list, though. Bullet three references carriers only caring about getting you into new contracts and thus the reason for software updates to not carry any importance in their eyes. Honestly, I see absolutely zero connection between the two, but there is also a mention in the article about new versions of Android making it difficult for carriers to load up their own bloatware on phones. That’s a load of garbage because it’s assuming that it’s difficult for the My Verizon or AT&T Navigator app to receive an update to work with the next version of Android. And it’s not. Not only that, but this argument is a hilarious counter to a previously introduced ZDNet argument that OEMs want to sell phones and carriers only care about contracts. In other words, the new phones that manufacturers want to sell come with new Android and carriers are OK figuring out how to get their bloatware updated and working there, but are not interested in then doing the same, for their just barely, slightly older line-up of phones, which they likely still sell. Are we all about selling and contracts or not? This has a lot to do with bullet four, though, which suggests that developers hate new versions of Android because they have to then support those new versions in their apps, which may be creating more “fragmentation.” Have we not heard of Google Play Services? Here, because doing research is difficult, is a link to it. As you can see there, the entire point is that Google Play Services “makes it faster for your users to receive updates and easier for you to integrate the newest that Google has to offer.” But that’s even outside of the fact that the maturity of Android has made continued support easier because the giant platform leaps just don’t happen anymore. In the past, as Android was becoming a polished mobile operating system, the jumps from Gingerbread to Ice Cream Sandwich did indeed leave many in the past with no path to upgrade or extra work for developers. But those days are long gone. And look, if developers “only want to sell apps,” don’t you think they won’t mind putting in the work to add new features, let alone making sure their apps are supported? Or are we degrading Android app developers now to incompetent, lazy sloths who thought they could make an app, sell millions of it, and then leave it for dead? I mean, come on. I reached out to two three developers this morning who all told me the same thing, which was that getting an app to work on the next version of Android takes almost zero work. They then both all said that the only work involves making sure your app looks great and incorporates new features, if there are any. And why would they do that? Oh, you know, because like ZDNet suggests, they might want to sell an app or two. Finally, that last bullet about Google only caring about new activations is frankly, quite short-sighted, lazy, and unfair. Does Google care about having billions upon billions of Android devices in the wild to try and turn those into cash? Of course. But saying that Google only cares about activations ignores everything I just laid out, including the difference in approach to Android vs. iOS, monthly security patches, and the importance of Google Play Services to help developers stay up-to-date. But let’s not forget that Google also introduced Android previews of new versions in recent years to get new versions in the hands of developers and manufacturers as early as possible. How is that Google not caring? But guys, no one gives a sh*t.
Google Voice Just Received an Update!